High quality 4-ply cotton/synthetic blend yarn provides excellent absorbency and durability; no fraying, raveling, or tangled ends. Meets today’s ''Green'' standard. 5" 100% vinyl coated mesh headband provides added strength and stability. 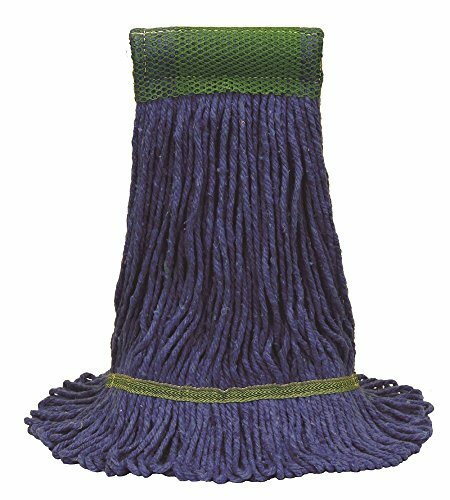 Tail band allows mop to cover more floor area per stroke; saves labor. Color coded for use segregation. Blue yarn keeps mop looking like new.